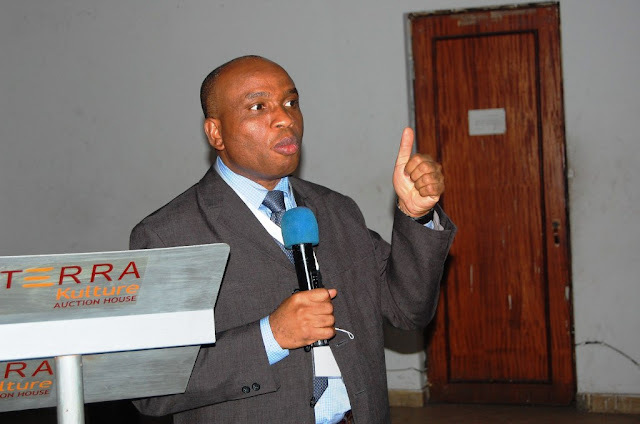 In an open letter, academician, Dr. Philip C. Njemanze has exposed a plot to traffic human organs obtained illegally. The project which targets Nigeria as the market, he points out, would lead to the death of 10 million Nigerian peoples in a space of three years or more, which would lead to the decimation of the population. The open letter penned by the academician also mentions that the project is being supported by top Western countries and UN agencies, adding that investors in the project would become trillionaires. He also mentioned that Bill and Melinda Gate’s Foundations are the sole sponsors of the project. The letter also says the project is organized by an international human organ trafficking cartel which started in Asia decades ago. According to Dr. Njemanze, this cartel have trained “an independent army known as Black Water which has been deceptively labelled as Boko Haram and Fulani Herdsmen”. The second part of the tells Nigerians drastic steps that need to be taken. His Excellency, Muhammadu Buhari, President and Commander-in-Chief of the Armed Forces of the Federal Republic of Nigeria. here are indications that a similar covert plan to take over the Islamic hospitals is in place. The Federal Ministry of Health under the past administration appointed Bill Gates to head the Committee for implementation of the National Health Act (NHA) 2014 along with 18 other ‘foreign’ organizations and embassies in Nigeria. This is illegal under the 1999 Nigerian Constitution! A non-publicly disclosed quasi-privatization under the past administration could handover the federal government health institutions to the foreign conglomerate. The Boston Consulting Group is working in partnership with the Bill and Melinda Gates Foundation [Read HERE] to actualize this plan. The aim of these acquisitions is to own the entire network of hospitals in Nigeria. We have argued that, the evidence points to human organ and ovarian egg poaching for human organ transplantation and stem cell research for human tissue cloning. Nigeria would become the largest supplier of ‘legally’ acquired (without consent under NHA 2014) human organs for transplantation to all patients living in the industrialized western countries! Nigeria will be the source for more than 100 million human ovarian eggs poached from ten million Nigerian women, who would die in 2-3 years or later from complications of ovarian hyperstimulation syndrome (liver failure, kidney failure, cancers, infections, etc). Our women of childbearing age will die in millions and our population decimated! This programme is supported by leading western countries, UN agencies, multilateral organizations and donor agencies owned by some western countries. This is because it would be a cheap source of human organs for transplantation for the western countries. The gains of using ovarian eggs poached from Nigerian women to perfect the complicated tissue cloning procedure called somatic cell nuclear transfer (SCNT) promises economic revenue of thirty trillion USD, one-third of the world’s economy. Western billionaires who have invested in this project under the auspices of the Bill and Melinda Gates Foundation would become trillionaires! This is an international human organ-trafficking cartel. Similar operations happened in Asia for several years particularly in India, Nepal and the Philippines, but the cartel did not have a full grip on political power in these countries and lost their place after about 20 years, leaving behind devastating consequences for people in these countries. Nigeria with a high corruption index was the next destination of choice for the cartel. The past administration was naïve and compromised to pass and assent grossly defective laws – National Health Act 2014, and the National Biosafety Management Agency Act 2015. Both laws are threats to the lives of the Nigerian people and to our national security. To cover-up of their clandestine operations they wrapped it in so-called philanthropic envelops with paltry donations and bribes to Africa! Sadly, it is also the reason for the sponsorship of the Boko Haram terrorism in Nigeria. The Cartel and their collaborators, the biotechnology companies that produce genetically modified foods, are using the private army popularly known as Blackwater to hire and train mercenaries. According to the Voice of America (VOA) [Read HERE (attached)], American Conservative March 8th 2009 [Read HERE], and Counterpunch [Read HERE (attached)] the mercenaries were hired from Liberia, Guinea, Libya, and other places in Africa and were deceptively labelled Boko Haram and Fulani Herdsmen. According to an article in United States daily: The Nation September 10th 2010 by Jeremy Scahill titled ‘Blackwater’s Black Ops’ Monsanto bought Blackwater [Read HERE (attached)], Bill Gates and Monsanto own Blackwater. Others support this claim, in an article titled Blackwater, Monsanto, Bill Gates: War Machines by Silvia Ribeiro on February 1st, 2012, in Pravda.ru via Mindscape Magazine blog [Read HERE (attached)]. Bill Gates is a major investor in Monsanto according London-based, The Guardian [Read HERE (attached)]. Bill Gates is a major biotech investor. The Boko Haram mercenaries engaged in killing and displacing over 6 million farmers in the Northeast ‘food basket’ of Nigeria. The phase 2, is on-going using these mercenaries that were falsely labelled ‘Fulani Herdsmen’ to achieve the destruction of cassava farms in Southern Nigeria. They destroy natural crops and seeds, so that, they can come to offer philanthropic ‘improved seeds’ or ‘improved varieties’ which are genetically modified (GM): yellow cassava, yellow yam, sorghum, cowpeas, millet, rice, maize, etc. The GM crops do not replicate so every planting season Nigerian farmers will collect seeds from Monsanto, Cargill, Syngenta etc! The idea is to capture the food security of Nigeria, so that the entire people and the government of Nigeria will be held captive under ‘no seeds, no food’ unless you comply with demands of the biotechnology company. We have become a nation of biological slaves to Monsanto because of corruption of highly placed few Nigerians! The entire Nigerian polity will be controlled from outside. The political leaders of today will be phased out and replaced with leaders handpicked by the cartel. The attempted coup-d’état in Turkey is a glaring display of what they can attempt even for so-called allies. According to the Turkish prosecutors the $2 billion USD used to fund to coup-d’état was transferred through Nigerian bank – United Bank of Africa (UBA) [Read HERE]. If the financing network is in Nigeria, are there no similar plans for Nigeria? This calls for national vigilance! A full review of the National Health Act 2014 was published by several stakeholders including the Association of Catholic Medical Practitioners of Nigeria (ACMPN) in Leader (February 22nd, 2015; Daily Sun February 17th, 2015; attached) and Association of General and Private Medical Practitioners of Nigeria (AGPMPN), in The Guardian, Wednesday May 28th, 2014; attached). The sections 48, 51, that allow human organ poaching without consent must be repealed. The section in the Interpretation of ‘tissue’ that excludes ‘gametes’ must be corrected. Gametes should be included as tissue in the definition and protected by consent clause. Section 13, on Certificate of Standards used to close almost all Nigerian hospitals based on building requirements must be repealed. All acquisitions of existing public or mission hospital facilities in Nigeria by foreign multi-nationals or their local proxies must be stopped. Health sector is National Security and hence must be under anti-monopoly protection and must be open to healthy competitions. All genetically modified crops of food staples must be banned since the GM crops do not improve crop yield [Read HERE], are toxic to human health [Read HERE] and cannot solve the problems in the agric value chain. The data about touted health benefits of biofortified cassava and others was found to be scientific junk falsified data [READ HERE] by a committee at the Danforth Institute where it was published [Read HERE]. The National Biosafety Management Agency (NBMA) must be reorganized and properly staffed by knowledgeable and patriotic Nigerians. It must be well funded to police GM crops and destroy them similar to fake drugs. It must have the task of protecting our Food Security and must be an agency under the purview of the Office of the National Security Adviser and Presidency. Today’s threats are more biotechnological than physical military combat! Chairman, Global Prolife Alliance (GPA), for the Council on National Policies; Chairman, Association of Catholic Medical Practitioners of Nigeria, Owerri, Archdiocese, for Ethics Committee.